While Chinese and US officials make last-minute preparations for a round of high-level negotiations scheduled for next week, where they seem poised to strike a deal to defuse their months-long trade standoff, Chinese businesses are not sitting idly by and waiting for a miracle to take away their troubles. In China's manufacturing bases along the eastern coast, small factories are actively seeking new markets to cushion declining orders from the US. In Washington, Chinese corporations already operating in the US are stepping up their defense from potential scrutiny by hiring lawyers, lobbyists and public relations professionals. These efforts are not fueled by their lack of confidence in a potential deal, but by the belief that rounds of talks or even a potential deal would not completely resolve the deeply rooted divisions between China and the US. They also come as some businesses and analysts in China grapple with the thought that China might have underestimated the impact of a trade war and misjudged the true intentions of the US. On Thursday, China's Ministry of Commerce denied recent rumors that the US had turned down a request from China for a meeting before the high-level talks scheduled for January 30-31. "The two sides have, in fact, been staying in close contact," Gao Feng, spokesperson for the ministry, told a press briefing. Vice Premier Liu He will head to Washington as scheduled, he said. US officials have also been striking a positive tone on the upcoming talks. "We are doing very well in the negotiations," US President Donald Trump told reporters at the White House on Wednesday, adding that China "wants to make a deal." Given the pressure both sides face from economic slowdowns to stock market turmoil, many analysts have suggested that the two sides reach a deal. However, no one seems to know whether the deal would only prevent further tariffs as threatened by the US or would lift tariffs already imposed, as officials gave little hint. But even if there would be some kind of deal, it will not be the end of the trade tensions, according to Mei Xinyu, a research fellow at the Chinese Academy of International Trade and Economic Cooperation in Beijing. "The China-US trade war is not an incident but a phase. It shows China-US relations have entered a new phase," Mei said. "Under the new phase, China needs to be prepared to fight a prolonged war where both talks and quarrels will take place." 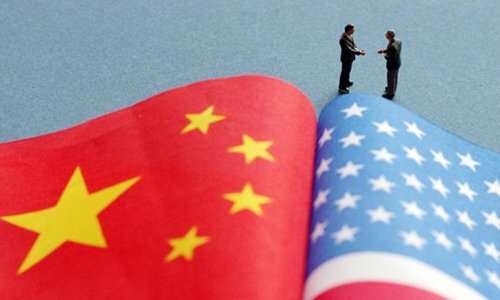 Another sign of more tension ahead is from the seemingly persistent divisions over thorny issues such as US claims of forced technology transfer, intellectual property rights protection and unfair trade and industrial policies in China. China have firmly pushed back at these claims. Chinese businesses seem to have already been working under that line of thought. "Since the trade war, we have made some adjustments," Shi Xinyu, a businessman in Yiwu, Zhejiang Province, told the Global Times. Shi owns an import-export business that sell household products, such as toilet paper and saddles, to the US. While Chinese companies did not pay the extra tariffs imposed by the US, their orders from the US on some products have declined significantly, according to Shi. He said some US importers negotiated prices downward with the Chinese companies, but "we didn't give in because the margins on these cheap products are already too low, and eventually the US companies' consumers pay for the tariffs." For now, they can take a stand because many higher-end products such as Nike shoes and clothes still rely on the well-established industry chain in Yiwu. "But if the trade war continues for two or three years, many will move to Southeast Asia and other places. They don't have the complete industry chain as we do here," Shi said. Shi added that his business partners and many in Yiwu, the manufacturing base, do not seem to be worried. "If we lose the US market, there is Europe and Japan, and the domestic market as well." Such a shift from the US market appears to be common among Chinese businesses, according to a survey released by global consultancy PricewaterhouseCoopers on Wednesday. The survey showed that only 17 percent of Chinese CEOs picked the US as one of their three most important markets over the next 12 months, compared to 59 percent in 2018 and 57 percent in 2017. Chinese direct investments in the US also dropped 84 percent year-on-year to a mere $4.8 billion in 2018, the lowest in more than seven years, according to data from US consulting firm Rhodium Group. The impact could be felt on both sides: While the US loses investments and consumers pay more for daily goods, Chinese companies lose one of their largest markets that could be hard to replace. However, things are more pressing for Chinese companies already operating in the US, since they have a ringside seat to Washington's intensifying scrutiny of Chinese companies such as Huawei and ZTE. A business consultant focused on Chinese companies in Washington said he has never seen so many Chinese companies seeking services in legal, government and media relations in the US in his over a decade of practice. "These are necessary functions for any US corporation, and have been ignored by Chinese companies for a long time," the consultant, who requested anonymity, told the Global Times on Thursday. "Recently, there were more and more Chinese faces in Washington's K Street," he said, referring to an area of the city known for lobby firms. The consultant said many in the US believe that even if tensions are defused, the "golden age" of China-US trade ties would be replaced by a new era of "cooperation plus confrontation." "So forward looking Chinese companies are preparing for this new phase in China-US relations, the consultant said. "That's the biggest change from Chinese companies since the trade war began." Those changes have also been manifested in high-profile cases. Following a barrage of bad news for his company - from business bans to the arrest of his daughter in Canada - Huawei founder Ren Zhengfei, who had largely stayed out of the public eye, took several interviews with both Chinese and foreign press, in which he defied foreign accusations and showed his commitment to technological advances. While businesses are moving toward adapting to the changes, policymakers also need to make adjustments, including a re-evaluation of the situation and a change in tactics in negotiations, analysts pointed out. China's performance in these negotiations should not be judged on whether China would make small concessions. It should focus on whether China prevents disruptions to its sustained economic growth, Mei said. "An evaluation of [China's] losses and gains from the trade war should not get mired in details but on changes to China's standing in the global economic system," he said. China has gone head-to-head with the US in the trade tensions, responding to US threats as well as tariffs firmly and swiftly, insisting that the US has made unfair demands, and that it is simply defending its own interests. However, by continuing such a line and hoping that hitting back at the US would show some pain, China may have underestimated the US�? resolve to not just push China to address its grievances but to change its entire economic system and the impact of the trade war on China, according to Li Ruogu, former chairman of the China Import-Export Bank. "This is a fight over [economic systems] and the path, it will not end easily," Li wrote in a widely circulated article. "At the moment, in China we are overly optimistic about the assessment of the potential damage." Li suggested that China avoid confronting the US in the negotiations and instead make room to better preserve its economic growth. "Making concessions is not to surrender but to win the initiative," he wrote. "In the China-US trade conflict, I think diamond cutting diamond is not appropriate."